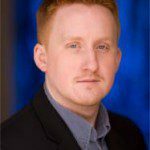 Originally from Moorhead, Minnesota, Matthew is an accomplished lyric tenor and director. Matthew has performed and directed throughout the Midwest and Western United States and abroad, including China, Russia, Japan and England. His stage credits include numerous roles in opera, musical theatre and dance. Matthew’s directing credits include Joseph and the Amazing Technicolor Dreamcoat, Peter Pan, H.M.S. Pinafore, and Godspell to name a few. He has been the choral director at Mountain View High School and elementary music teacher for Marana Unified Schools and an instructor in voice at Trollwood Performing Arts School during the summer. 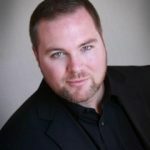 Matthew received his master’s degree in voice from Washington State University and earned his bachelor’s degree in music education from the University of Arizona. Matthew and his wife, Victoria, live in Tucson with their two sons and two daughters.